PEACH KERNEL OIL. 100% Pure / Natural / Undiluted / Refined Cold Pressed Carrier Oil for Skin, Hair, Massage and Nail Care. 4 Fl. oz-120 ml. Peach kernel oil is extracted from the kernel of the peach and is rich in polyunsaturated fatty acids, including linoleic acid and oleic acid, vitamins A and E as well as a variety of B-group vitamins that help skin to lock in the moisture and retain elasticity. It is also a rich source of antioxidants which has anti aging properties. Due to its special molecular structure it penetrates easily into the cells. A mixture of Botanical Beauty Almond oil, Botanical Beauty Grape Seed oil and Botanical Beauty Peach Kernel oil is excellent for use after exposure to the sun. 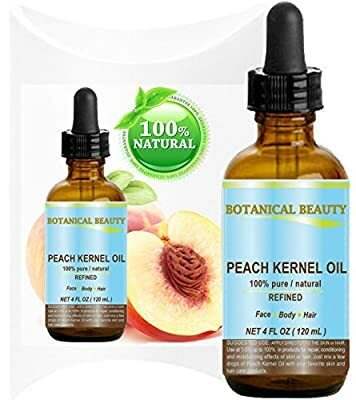 Peach Kernel carrier oil is used to massage the skin and has wonderful nourishing, regenerative and moisturizing properties, hence it is helps to soothe sensitive and inflamed skin and is a good treatment for dry and mature skin. It is excellent for massage blends and in particular facial massages. Peach kernel oil is used in the soap industry and is a popular ingredient in cosmetics, such as creams, shampoos, baby oils, lotions, lip balms and aromatherapy. Try it as an effective make-up remover. PEACH KERNEL OIL is award-winning for its use within personal care, spa and aroma therapeutic applications. Due to its rapid absorption, it is especially well suited for use in facial, lip, body, hair care and massage products. 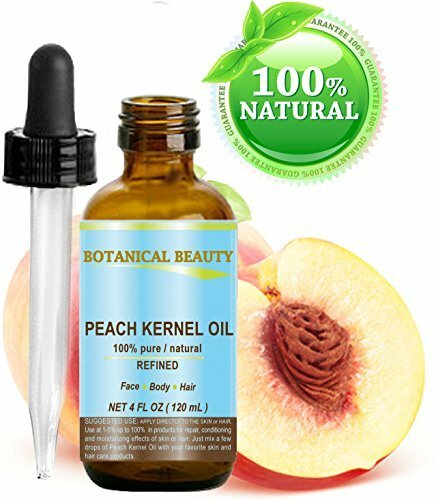 PEACH KERNEL OIL is one of the lightest oils available. It is a highly penetrating emollient oil, absorbs easily into the skin, so it makes a GOOD MASSAGE oil. PEACH KERNEL OIL for all skin types, also for dry/flaky/ chapped/ cracked, sensitive and mature skin types. 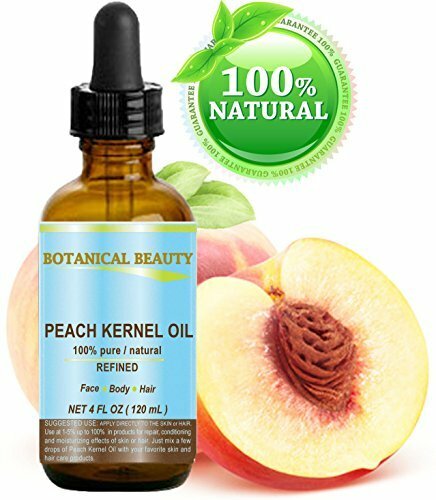 PEACH KERNEL OIL helps damaged skin like ACNE, PSORIASIS, ECZEMA, DERMATITIS, SUNBURN, STRETCH MARKS, BURNS, CUTS, SCARS, ACNE AND CELLULITE. PEACH KERNEL OIL helps for DRY, DAMAGED HAIR, DRY SCALP AND BRITTLE NAILS. LIP CARE. PEACH KERNEL OIL is a light oil (easy to wash out and it doesn't weigh down thin hair). PEACH KERNEL OIL protects hair from environmental conditions such as sun, wind, rain and pollution. Coating the hair shaft with light PEACH KERNEL oil also deters frizz and helps define curl patterns. The nutrients in PEACH KERNEL oil condition hair, aiding hair growth by preventing breakage and tangles.